Book your place on a forthcoming one-day Cheese Making Course at the High Weald Dairy. Price includes tuition, refreshments, lunch, all materials and a kilo of your handmade cheese to take home. 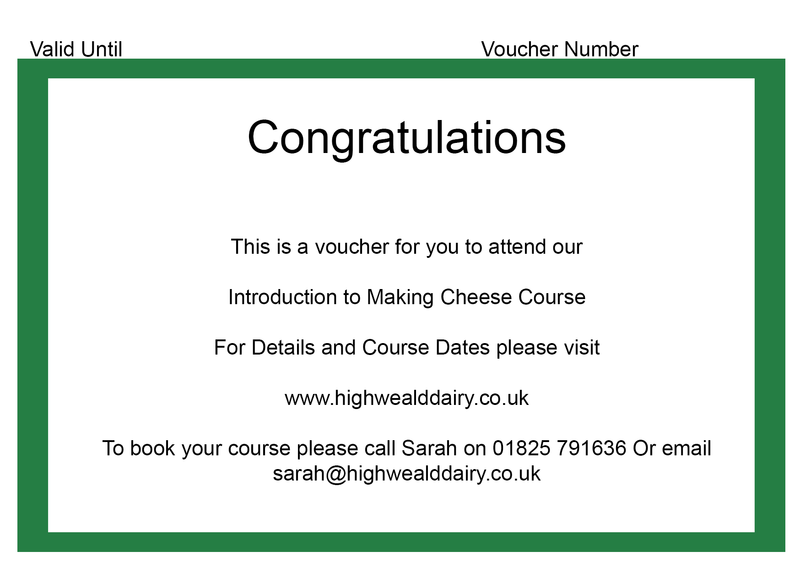 Book your place on a forthcoming cheese-making, tour and tasting experience at the High Weald Dairy. Book your place on a forthcoming dairy tour and tasting experience at the High Weald Dairy. Buy our one-day cheese making, dairy tour and tasting experience as a gift – the perfect present for a cheese lover! The voucher will enable the recipient to book the date of their choice. Vouchers are valid for a year from purchase.purchase. Buy our dairy tour and tasting experience as a gift – the perfect present for a cheese lover! The voucher will enable the recipient to book the date of their choice. Vouchers are valid for a year from purchase.purchase. Buy our one-day Cheese Making Course as a gift experience – the perfect present for a cheese lover! The voucher will enable the recipient to book the course date of their choice. Vouchers are valid for a year from purchase.